Perpignan station is located about 20 minutes from St Cyprien and Argeles stations and Elne about 10 minutes from Sy Cyprien. L’aéroport de Perpignan / Rivesaltes is located approximately 30 minutes from St Cyprien. 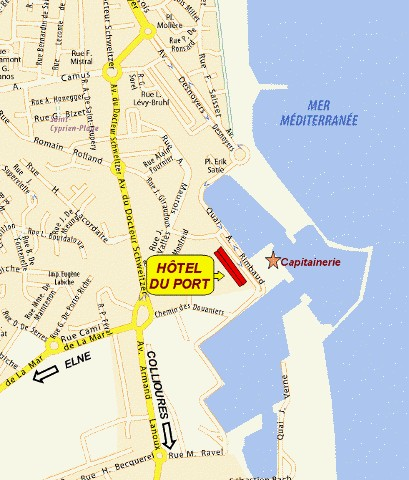 Hotel du Port in Saint Cyprien near Perpignan, Argeles and Collioure. 30 minutes from Spain.